Shell has once again been making the news because of their disastrous attempt to drilling for oil in the Arctic. According to Open Secrets, congressional Democrats called for an investigation into the company’s operations in the area by the Interior Department and the Coast Guard. One investigation, by federal, state and company representatives, is already under way. 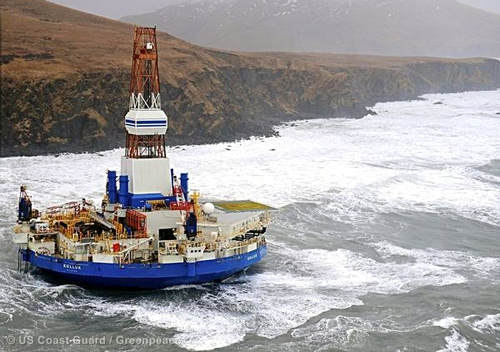 Shell has fought long and hard to drill in the Arctic, and its lobbying records show it. In 2011, when the company was getting its final regulatory green lights for the operations, it spent $14.8 million making its case in Washington, a steady and substantial increase from the $3.1 million it spent in 2007. In the first three-quarters of 2012, it laid out nearly $10.9 million for lobbying. Unlike many companies, Shell hasn’t focused just on the House and Senate: the White House, the Departments of Commerce, Interior, Treasury, State, the Environmental Protection Agency and the Coast Guard are among those on which Shell has lavished its attentions. In a recent article by Greenpeace, the environmental group documents numerous reasons why Shell’s attempts to drill for oil in the Arctic would be devastating for the ecosystem there. The article documents several incidents that have occurred already, prior to the current attention to the offshore drilling platform problems. All of that could mean even higher lobbying expenditures by the company. Shell isn’t persona non grata in Washington the way BP was after the 2010 Gulf of Mexico blowout or Exxon after the Valdez spill in 1989 — at least not yet. But environmentalists and other critics of Arctic drilling warn that the company’s current problems show it’s likely just a matter of time before more severe occurrences.